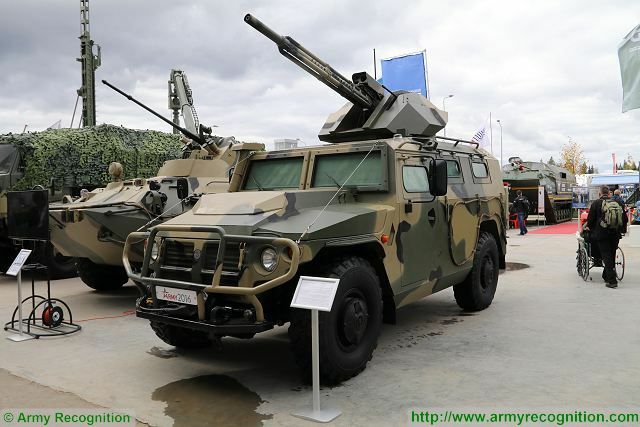 Russian Company VPK unveils new unmanned Tigr 4x4 armoured vehicle with 30mm cannon. Tigr 4x4armoured vehicle with Remote Controlled Weapon Station armed with 2A72 30mm automatic cannon at Army-2016 International Military Technical Forum near Moscow, Russia. 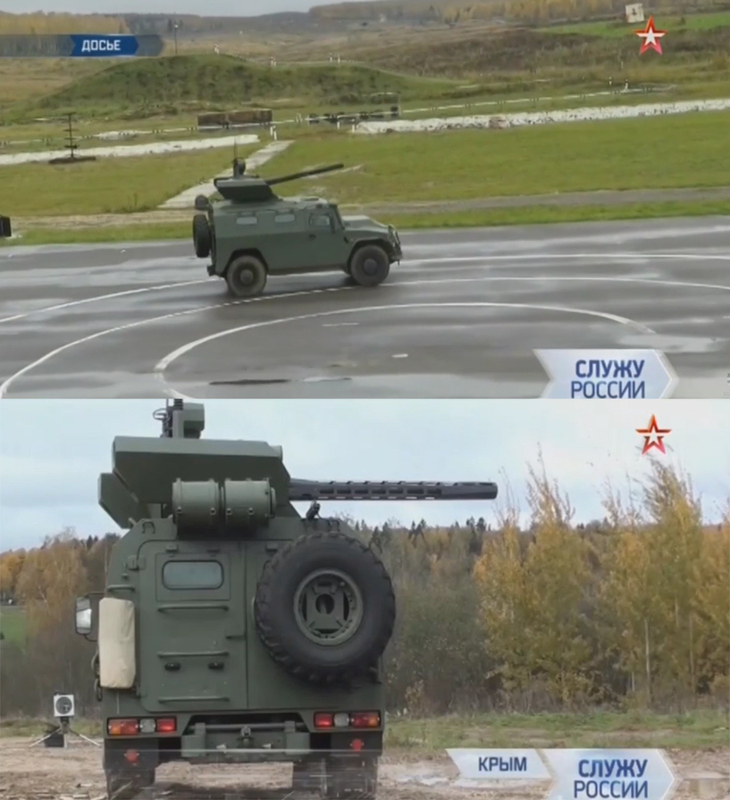 The vehicle has received a remote controlled weapon station (RCWS) armed with a 30 mm Shipunov 2A72 automatic cannon. The unmanned Tigr can search, track and destroy targets in automatic mode. 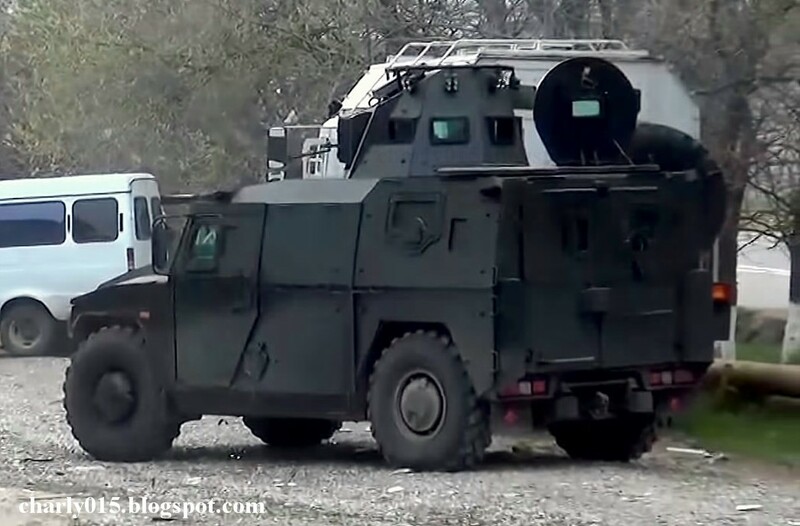 The Company VPK has developed the armoured vehicle in conjunction with JSC 766th Department of Engineering and Manufacturing Complement (Russian acronym: UPTK, Upravlenie Proizvodstvenno-Tekhnologicheskoi Komplektacii) as per the Russian Ministry of Defense`s (MoD) order. "The RCWS (Remote Controlled Weapon Station) mounted on the new modification of the Tigr vehicle is unified with the remote controlled turret of the Uran-9 unmanned combat ground vehicle (UCGV) developed by the 766th UPTK. Both modules are armed with a 2A72 automatic cannon chambered for 30x165mm round as the main weapon," said the Director General of VPK, Alexander Krasovitsky. "VPK has become the first defense enterprise in the world to integrate a 30 mm automatic cannon with a lightweight two-axle LUV with a combat weight less than 9 t, while retaining the vehicle`s maneuverability and cross-country capacity. ", he added. 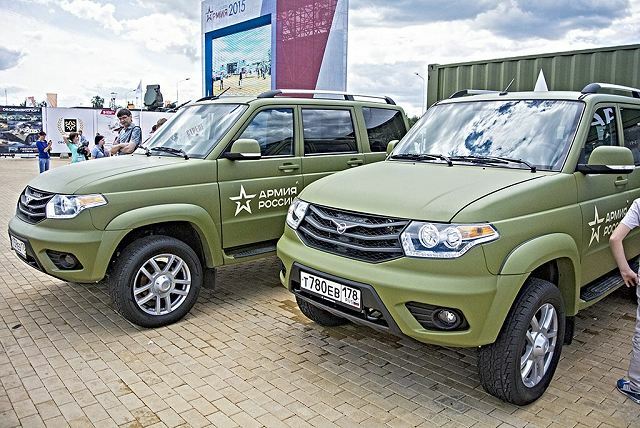 The unmanned variant of the Tigr LUV is based on the VPK-233115 Tigr-M SPN Special Purpose Automobile (Russian acronym: ASN, Avtomobil Spetsialnogo Naznacheniya) also developed by the Military Industrial Company. The vehicle can be used for combat-reconnaissance operations, fire support missions, and convoys. The main armament can destroy light and medium armoured vehicles on the modern battlefield. 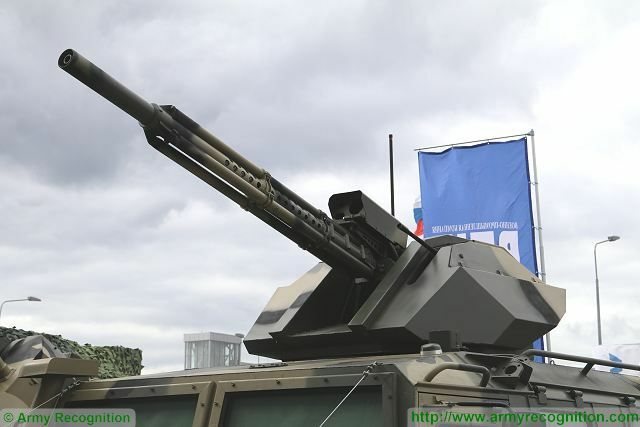 The 2A72 30mm automatic cannon can also be used as anti-personnel and anti-armour weapon. 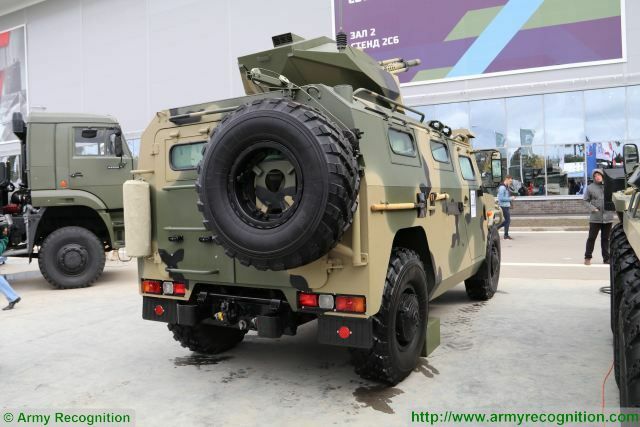 Russian troops to soon receive Tigr armored vehicle with Arbalet weapon station. I would not rule out a transfer of the Iveco LMV to internal security forces, for the decommission of the Iveco LMV as foreign vehicle. It would be a no cost solution. I had a video of that in operation (probably in the same place) that a friend sent me a while back. Damned if I can find it now. Ye that video was shared on Multimedia thread few months ago. Thanks Arctic. That is indeed the one. For reconnaissance roles, I do not think this kind of light utility vehicles have a chance. The reconnaissance work is changing fast, and the old way to do the job is being surpassed by the new aerial unmanned technology. It has been announced that the tanks of the Armata platform will be equiped with drones (likely small to very small, but also likely more than one). The future reconnaissance vehicles will be one step above this (in the refered to reconaissance). Surely it will not be a small vehicle with a drone or two. The reconaissance vehicles in the future will be likely mobile stations of decent size for the control of multiple drones working at same time. The Typhoon-U and the Typhoon-K can take also this role with a crew of drone operators. franco wrote: Army to order some of the new Skorpion vehicles for testing with the Spetsnaz and Reconnaissance units. Some of this news has been finally confirmed? Benya wrote: A bit more detailed article about the concept of the "superlight brigade". A superlight infantry battalion has been formed in the Samara Region. It is unique as far as the Russian Armed Forces are concerned. The unit shall operate UAZ Patriot wheeled vehicles mounting Kalashnikov machineguns, the press office of the Central Military District told journalists. "Building on the lessons learnt from the fighting of recent years, a superlight infantry battalion has been stood up. It is the first unit of the kind ever in the Russian Armed Forces," the press office said. The UAZ Patriots in the battalion’s inventory will be equipped with 7.62-mm Kalashnikov machineguns and other weapons as required. Around 90 Patriots are due to the brigade the battalion reports to before the end of the year. The activation of the battalion will boost the brigade’s mobility by several times on military operations in urbanized terrain and enable it to raid the enemy’s flanks and unprotected positions with lightning speed. The unit’s personnel are receiving tactical training and conducting range practice at the Roshchinsky Training Area in the Samara Region while waiting for the arrival of their new materiel. The newly infantry brigade of the Central Military District was formed in the Samara Region on November 30. It comprises infantry, field artillery, scout, combat engineer and other units. Its manning with enlisted personnel is under way. Well, those support units of the brigade (field artillery, combat engineer), would need heavier equipment no matter what. These UAZ Patriots are indeed looking like technicals (no armor, no heavy weapons (except ATGMs maybe), so I totally agree with VladimirSahin's statement. In my opinion, the only viable task for this type of units would be COIN (counter-insurgency), but only with a bit heavier vehicles like the Typhoon-series, since these UAZ Patriots do not offer adequate mine/IED and projectile protection. Quoting the article from other topic, to have here another of the options for infantry mobility vehicles being considered. For me the Typhoon 6x6 are far superior to all the rest for combat roles. Smaller vehicles are enough for light utility roles out of combat areas, or to work with the security forces in the internal security. And this is same discussion we had over bikes and ATVs. Those UAZ Patriots are NOT technicals. They are mode of transportation. You do not engage the enemy in Patriots. You approach the enemy's general location in them and then dismount and then proceed on foot to engage the enemy. Using Typhoons for this role is pointless because they are slow, complex and cost as much as full IFVs while being inferior to them in all aspects. You will never sneak up on anyone in Typhoon 6x6. And you will never leave quickly in it. Remote controlled turret has 2A42M now. Some more information has come out on the new brigade being formed. It appears 2 battalions to operate using Patriots and 1 battalion to operate in BTR-82A's. Well yes, you are right. I was just wondering that how these UAZ Patriots will act in case of an armed conflict. Well, the 6x6 Typhoons are too heavy indeed, but I was thinking about 4x4 vehicles like the "Tigr" or the "Rys". My point was that what if a Patriot-equipped unit - God forbid - gets ambushed and whatnot. Getting ambushed is always the possibility of course but fun part is that purpose of these units is to ambush the enemy themselves. Basically they have vehicles to save them footwork. Patriots once again seem to be a working in progress from what Russia learns in Syria (and Ukraine) and the small wars in its periphery (NK, Ossetia), Typhoon style Strykers worked A-OK in Iraq, until the EFP's became commonplace. So basically the Typhoons will be part of the button-up game in select situations where you would need Heavy UV's, MRAPS and armored trucks. Also Typhoons running 110 kmh is (marginally) faster than the usual 50/60MPH MRAPS used to patrol in Iraq and parts of Afghanistan. So, "park the car, sneak upon the enemy, hit and then run" would be the ideal tactic. KoTeMoRe wrote: Patriots once again seem to be a working in progress from what Russia learns in Syria (and Ukraine) and the small wars in its periphery (NK, Ossetia), Typhoon style Strykers worked A-OK in Iraq, until the EFP's became commonplace. So basically the Typhoons will be part of the button-up game in select situations where you would need Heavy UV's, MRAPS and armored trucks. That's more like it. . I'm curious about the tactics and capabilities of these type of units, but we have to wait until a large military exercise to see their combat potential unfold. Well sorry but if I would be in the attacked side, I promise you to wait not until the attacking unit parks their Patriots and prepares to attack me. I would receive them warmly. This is the reality. And the same if they go with other light semiarmoured vehicles that are not passing the tests as combat vehicles. There is some reason why they have as many troubles with the tests. Then better if you park out of the range of the portable/man-portable weapons (until 8.8Km in Russian units + 120mm rocket assisted projectiles) that I can have. These vehicles are good for light utility roles (mainly transport) in non contested areas. Also for the clasical roles of the security forces, like small combat with internal militias and organizations without heavy warfare and without the best portable/man-portable weapons. But are plagued of problems by weakness for combat environments. Even to do transport in areas contested by armies with decent warfare and organization. With the Typhoon 6x6 the history is different. In urban environments the Patriots can play with the building protection, but still, I would not take this way. Still can be destroyed but the people inside have significantly bigger chance of surviving. This is key in contested areas. PS: To apply the lessons learned in combat in Syria, it is necessary to take into account that the Syrian war is by nature a civil war (internal war, with only limited external support). The Syrian opposition is not armed in the level of an official army. This is why some tactics work. Hm, interesting. If remember correctly 30mm automated module already exists for Tiger. Can't see the difference yet. Arctic_Fox wrote: Can anyone id this vehicle? CAN AM Commander MAX MTV. This should be the XT model.